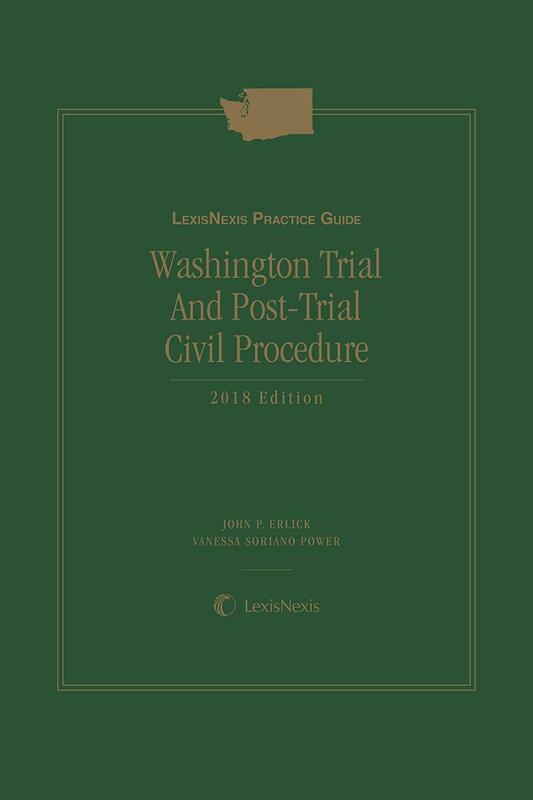 LexisNexis Practice Guide: Washington Pretrial Trial and Post-Trial Civil Procedure is the third practice guide for Washington litigators, covering trial and post-trial procedure in state superior court. Each chapter contains legal analysis, forms, practice tips and pointers from Washington practitioners. 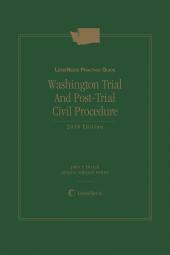 This publication provides practical, step-by-step guidance on all phases of trial and post-trial civil procedure in Washington superior courts, incluiding post-trial motions, up to the point of appeal. • Practice guidance and tips from Washington practitioners – user benefits from "real world" practical experience, tailored specifically to practice in Washington superior courts. 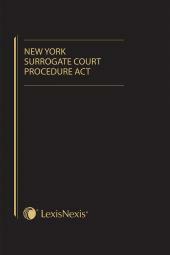 • Washington statutes, rules, cases, and as appropriate, local procedures and forms. • Coverage of local rules – many of the practical details of trial procedure are governed by local rules that vary by county; user is alerted to potential local variations in practice. • Dozens of forms, including forms related to jurors and witnesses, trial motions, forms related to contempt, requests for attorney's fees, and post-trial motions – saves hours of drafting time. - Voir dire and jurors. - Public access to courts. - All type of trial motions. - Opening statements and closing argument. - Dealing with witnesses and evidence. - Judgments and verdicts, along with attorney's fees and post-trial procedures to prepare for appeal. LexisNexis Practice Guide: Washington Trial and Post-Trial Civil Procedure was created under the guidance of Editorial Consultants Judge John Erlick (King County Superior Court), and Vanessa Soriano Power, partner in the Seattle office of Stoel Rives LLP, providing the benefit of years of practical experience with civil litigation in the Washington state courts. 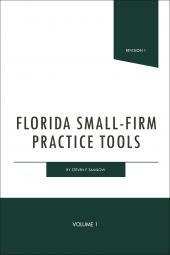 Washington practitioners wrote and reviewed individual chapters, and provided many practice tips and guidance.